The voice I would listen to spoke to me about my relationship with food. 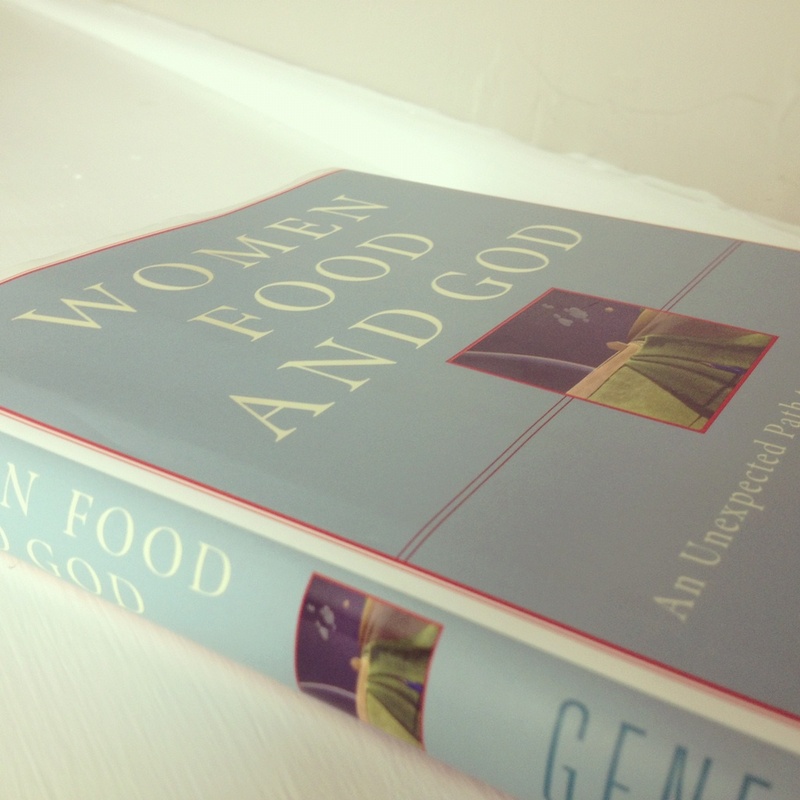 Before we left on vacation, I discovered Geneen Roth’s book Women, Food and God. In it Roth talks about the guidelines for eating that have transformed her life. Instead of thinking of them as rules, she thinks of them this way: If love could speak to me about food, this is what it would say. Roth’s guidelines urged me to be fully present when I eat, to listen to my body, and to enjoy each mouthful of food with “gusto and pleasure.” God was inviting me to eat contemplatively. That reminded me of SoulStream’s commitment to “attentively respond to the Spirit’s presence in our daily choices.” The Spirit will help us listen to our bodies and help us choose what, when, where, how, and how much to eat. As I tried to eat contemplatively, the Spirit nudged me to consider the questions Roth asks in her book. Why do I overeat? What feelings am I avoiding? Do I wish I were somewhere else? Can I love my body? As God and I walk together with these questions, I feel the discomfort they raise. I resist God’s interference in my life. But Love stops and waits with me in my resistance. God waits for me to see that there are no other roads but this one. This is the road to freedom. You waited for me to see. You hold me in your heart. Forest Walk by Anne Yungwirth. Used with permission. Coeur à la Crème made by Ingrid Dahl; photo by Ed Dahl. Used with permission. Women, Food and God by Geneen Roth, 2010. This entry was posted in Overeating, Popular Posts, Stories and tagged Anne Yungwirth, Ed Dahl, Forest Walk, Geneen Roth, Guidelines for Eating, Nan C. Merrill, Overeating, Psalm 73, SoulStream, SoulStream Commitments, Women Food and God. Bookmark the permalink. Thanks Esther! What a coincidence…I picked up this book at the library and was starting to read it when a client called and asked me to work with her using Roth’s paradigm. Then I opened your blog and here the book appeared again!